All Zombies Must Die! was developed Doublesix and published by Square Enix. It was released on December 28, 2011 for 800 MSP. A copy was provided for review purposes. Zombies, zombies, zombies. Much like orcs, robots, and other generic villains they need to die. Many a game has tossed some weapons to many a player and let them loose into the zombie apocalypse, and All Zombies Must Die! sets up in just such a fashion. While RPG elements have found their way into undead-ocide before, what about in a top down twin stick shooter? Probably happened before, actually. Looks like this game has much to prove if it intends to stand out from the rotting, vomiting, mindless crowd of lookalikes. All Zombies Must Die! controls like most twin stick shooters and gives players a choice of four different characters to play with. Co-op partners (of which there can be up to three total locally) can pick from any remaining unlocked characters as they progress through the story, or use a basic soldier character until the characters are unlocked. Each character has a special ability which applies an effect to most unaffected zombies, a main weapon which can be upgraded via the in-game crafting system, and a secondary weapon which changes as weapons are picked up in the field. This arena style zombie shooter also incorporates RPG mechanics including leveling up stats and a simple (almost invisible) preferred weapon system. A main story arch holds the game together along with side quests and mini-quests, adding up to a decent amount of game to experience. Tight controls – There’s nothing better than jumping into a twin stick shooter and feeling that the game isn’t in the way. All Zombies Must Die! responds quickly and accurately, and, well, there’s not much more to it. It’s as good as it gets, and while it seems like something normal, many shooters take handling for granted. Frenetic zombie killification – As the game progresses some very awesome zombie-killing related mechanics are introduced. Among these are the teddy bear bombs which go off after a certain amount of kills rewarding the player with health and ammo pickups (as well as dead zombies) and the AZMD! combo meter. Straightforward mechanics that give the player miniature goals while grinding to make every ten seconds a rush to hit 30 kills, or to line up another five zombies for a shotgun blow to the brain. Charming writing and presentation – Zombie movie, game, etc. writing is… of ill repute. There’s a million ways to spin a zombie killing video game, and some games have failed harder than others, but All Zombies Must Die! manages to pull off some genuinely funny bits of dialogue. Unfortunately it’s not voiced, but the brief chats shared between the main characters and the general storyline is very tongue-in-cheek and puts genre cliches to fun use. Simple mechanics – Some games have really long tutorials when they need none, some have none when they need one. This game takes its time getting the player used to the game and steadily introducing new mechanics and weapons and everything is very clearly explained at the point at which the mechanic is introduced. Beyond that, there’s nothing finicky about this game, everything works and is all quite straightforward. The crafting system is very simple and forgiving when it comes to failed crafts, the level up system is also easy to understand, as well as all the actual action mechanics. Being swarmed – Imagine a massive hoard of zombies slowly cutting off the exits of a doomed party of four friends in a mall. As they slowly get surrounded, they devise a plan to simply ram their way through a weak spot in the zombie’s coverage. When the opportunity shows itself, they go to push their way out, but, much to their dismay they realize there is no push option this video game. 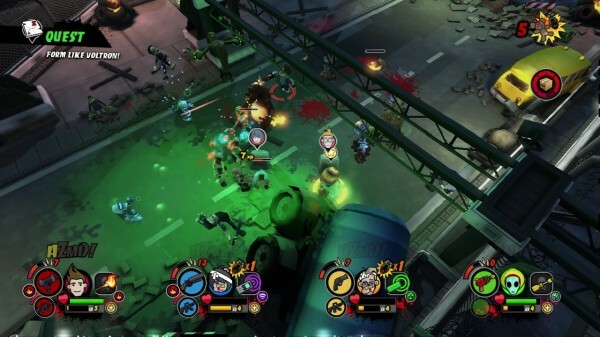 When out of ammo and down to fists in All Zombies Must Die!, at no point is the player given an option to simply push zombies off or force them out of their way by moving at them or anything. It’s like being surrounded by rotting, mindless walls with no sense of personal space. Sometimes being surrounded is an instant and dissatisfying game over. Having to restart – There’s a fun mechanic in the game in the form of gates which give the players mini-quests before they can leave the area. When simply passing through an area it’s fun and keeps the game from being too dry, but when a major story quest took place there and a lot of progress has been made, that last additional quest can be frustrating. Sometimes these gate quests can turn out to be very long and pose a great risk of death for the player which would reset their entire progress for that specific map. Each gate has a few different challenges to choose from, but ultimately it’d be preferable if completing story missions within a level constituted a checkpoint. Wandering aimlessly – For the greater portion of the game, instructions are very clear and to the point. 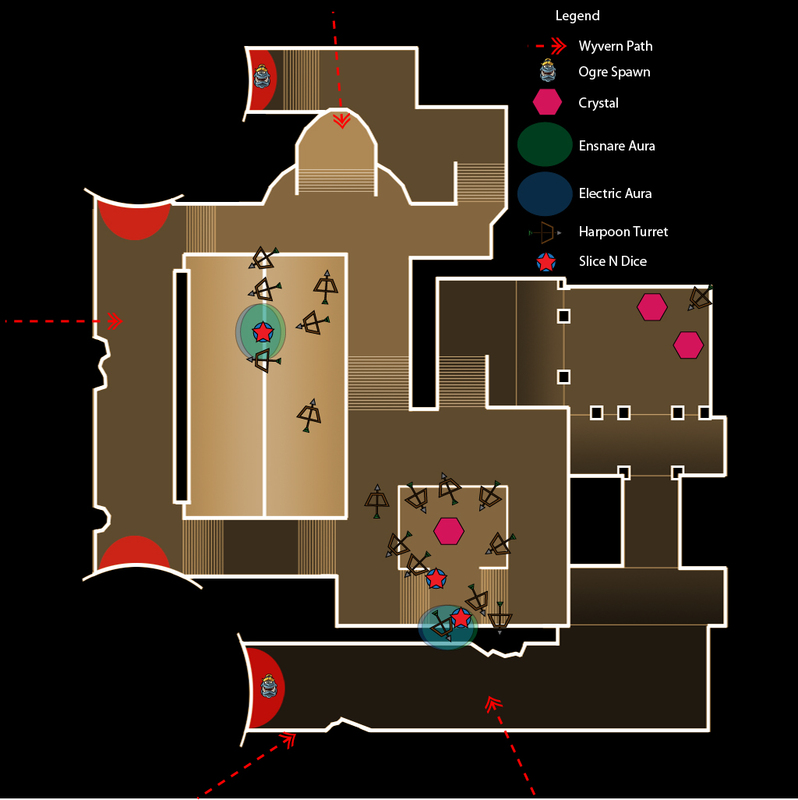 There’s a map, an inventory system, all sorts of common doodads that players require to know what’s going on in the game. However, there’s one minor slip up that constitutes a bit of a “backfire” to the game’s more open nature. When given a quest which can be completed anywhere, the game doesn’t give a recommended place to do it in the form of an actual waypoint, only as a suggestion in the quest text. While not a major thing, it can result in a bit of time wasting. All Zombies Must Die! is a refreshing take on the zombie killing twin stick shooter. It doesn’t do everything new, it’s definitely grounded in the more conventional and traditionally appreciated gameplay format for its genre. However, small innovations and additions to the grind really spice up the minute-to-minute and give players something bigger to achieve in the form of mini quests, special drops for crafting and a good bunch of side quests. The co-op for the game works well, but since it’s only local it’s not really the draw of the game. Thankfully all the fun the game has to offer can still be experienced when playing solo.